In 2001 I was contacted by the Music Supervisor of a forthcoming American action/comedy movie entitled ‘Getting Hal’. This feature was being directed by Tony Markes and in a flashback scene one of the actors was shown with a girl resembling ‘Heidi’ in a skiing chalet, followed by a tumble down the snowy slopes. Directors will often ‘cut’ a scene with what is known as a ‘temp track’, a piece of music that fits the scene but will theoretically be replaced later. In practice though, this temporary music gets so ingrained in the director’s subconscious, that it becomes the only music that will ultimately do the job. In this case, the film’s Music Supervisor (similar to an A&R – Artists & Repertoire – manager) contacted me to explain that the director had used Frank Ifield’s recording of ‘She Taught Me To Yodel’ for this particular scene. After contacting EMI, the owner of the recording, they learned that the ‘synchronization license’ needed to use the original version was beyond their budget. They asked if I could contact Frank to see if there was another version and it transpired that the only other recording Frank had made was on his ‘Live In Japan’ LP, and was long out of print. That would have been the end of the story, except I was familiar with a practice commonly used (especially in the advertising jingle business) and I offered them an alternative. A conference call was arranged with the director in Hollywood and the Music Supervisor in Malibu and I explained, “I am currently producing recordings for Australia’s premier male yodeler and we could not only produce a ‘cover version’ that sounds like Frank’s recording, but I could also engineer an edit that fits the scene exactly!” They seemed delighted with this idea, we negotiated a fee to be paid on the movie’s release, and they arranged to send me the edited footage of the scene so I could see and hear how the music needed to fit the action. With yodeler Wayne Horsburgh at the microphone, I soon had a finished recording to send off to Hollywood and wait for the movie to be released. I was aware that ‘Getting Hal’ was the first film to be cast and financed through internet and it was publicised at the 54th Cannes Film Festival Day in 2001 by media appearance by the director and actors. In fact it was the result of the notorious ‘Who Wants to Be a Movie Star?’ project, in which the film was financed by auctioning off executive producer credits and most acting parts online and it transpired that the Screen Actors Guild was none too happy about this! 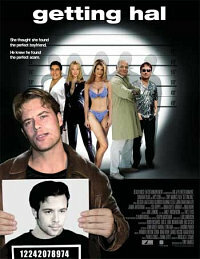 ‘Getting Hal’ was screened at the 2003 Santa Monica Film Festival, but unfortunately never appeared to receive a commercial or even DVD release. There ends the tale, with no Oscar red carpet in sight! 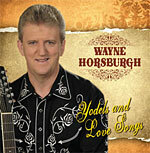 The recording we made went unused until I remixed it for Wayne’s 2012 CD release ‘Yodels and Love Songs’ which became a successful album for him. It’s been 25 years since I first started attending Bob Dylan concerts, and in some circles that makes me just a beginner. Over many years and three continents, this was a night worth waiting for! Encouraged by great reviews of Dylan’s recent European tour, the audience flocked to witness the touted return to form. His Bobness did not disappoint the faithful, but still baffled the innocent newbies. It must be accepted now, as the Never Ending Tour lurches on in its 13th year, that Dylan will not sing the original melody of any but the most recent of his songs. Not content with merely reworking the arrangements, like a jazzman improvising a new tune to a familiar set of chords, he stretches the boundaries. If that’s what it takes for him to continue to deliver those magical lyrics, then so be it. After all, it was never about the music, man! His voice is in pretty good shape, with plenty of gravel at the bottom these days. Then there are the guitar solos. Even the most generous would have to admit that Tangled Up In Blue is probably long enough without having a guitar solo after every verse. If you were compiling a live recording, the digital scissors would definitely get a work out. But tonight, even the guitar playing began to make sense. It is as if the band, now complemented by eighties guitar hero Charlie Sexton, have realised that Dylan is the lead guitarist in the band. Instead of some of the sonic convolutions of past tours, the other guitars now defer to Dylan’s axe. Utility man of the band, Larry Campbell supports with strong strumming or smooth steel guitar when Dylan twangs, and plays supple lines when Dylan plays choppy rhythmic phrases that hark back to his pre-folk era rock roots. Sexton follows suit, offering a few tentative licks and waiting for the nod of approval from The Bobfather before launching into a full-blooded wail. And wail they did, turning a formerly country The Wicked Messenger into a Chicago Blues styled romp, ending with a fine, and now sadly infrequent, harp solo by Dylan. At the age of 59, he looks back on a huge catalogue of songs. Every night the set list changes; some classics, some obscure. Tonight we got a blistering Highway 61 Revisited and All Along The Watchtower, a rollicking Leopard-Skin Pill-Box Hat, and many full-band acoustic numbers including Mama, You Been On My Mind. Twenty songs in two hours – I saw him smile and it made me happy. May the tour truly Never End.